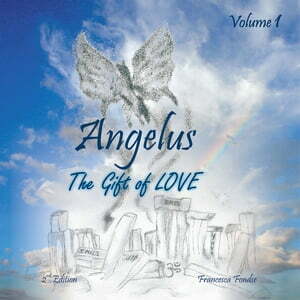 Collins Booksellers - Angelus Volume 1 by Francesca Fondse, 9781491878309. Buy this book online. Qabbalah, an ancient mystical practise, is not only regaining popularity but offers humanity a glimpse into the structured harmonics of creation. Its teachings and the glyph of the Tree of Life, can be applied to achieve insight into the Self, in almost every facet of the life itself. The guidance, resonances and meditations contained within the Angelus series are expressions of love and harmony, and would prove one of the greatest gifts one can bestow upon oneself, traversing into greater personal and collective consciousness. Francesca Fondse is a self actualized business professional and the designer of the DeAngelus Estates project. The Angelus series is a personal expression of a multi-philosophical vista, developed during a spiritual quest spanning three decades. A past lecturer in Physiology and Physics she also holds international qualifications in three major alternative healing modalities. Francesca has business interests in the pharmaceutical, property and communications sectors, as well as being an eternal scholar of systems of mysticism. The Angelus series of mystic discussions will form the spine of seminars to be held at the Lugar De Angelus wellness retreat in future.